Nkateko Maswanganye, best known as Takkies is a dynamic young South African performer who is making her mark in the industry of Performing Arts. She was born and bred in Tembisa, Gauteng. She’s a very hardworking a passionate dancer who just wants to be the best at what she does. She is no stranger to the South African audience and I got the opportunity to interview her, to get to know more of her. Here’s how the interview went. Rodney: Hi Takkies, thank you for talking to us (GoXtra News). How are you? Takkies: I’m awesome thank you. Rodney: You're Nkateko Maswanganye... Where does Takkies come from? Takkies: *hahahaha* Well it started in primary school when my history teacher couldn't pronounce my name so she looked at me and said "I'm just going to call you Takkies" haha at 1st it was weird but then the name grew on me and I adapted to it and the fact that I was always in sneakers busting moves at school hahaha. So that name followed me into high school and out of school till now. Rodney: Interesting lol... Can you just tell us a little bit about yourself, your upbringing and family? Takkies: I was born in Tembisa. I'm chilled... I love laughing I'm passionate I'm a huge chicken lover, I’m always smiling cause I'm just a happy person, very positive, I love entertaining people, Love God and my family. I come from a family of four: Mom, who is a teacher and loves music and kids, Dad who is in the entertainment industry (something we have in common) and my brother who is into I.T. He can fix anything I give him hahaha, It’s awesome, and not forgetting my dog snoopy (who loves to play a lot, he just enjoys life like me)…I love them all. Rodney: Ncooooh, so sweet. You’re a dancer…A very good one in fact. When did you start dancing and why are you so passionate about it? 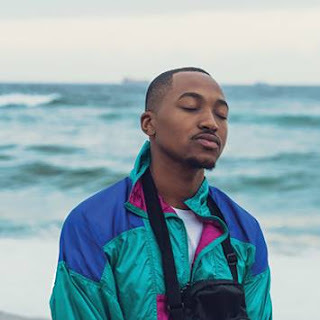 Takkies: I started dancing when I was 9 and when I was younger I always used to copy music videos in the lounge hahaha... So my mom just decided to "throw" me into dance classes. I love dancing because it’s so free, it’s a great way to express yourself and I feel like I'm in another world when I dance I'm a different person in that world. I love it. Rodney: We have seen you on Reality TV shows such as Shield Teens and So You Think You Can Dance and you did extremely well on both. Tell me more about those stages of your life. Rodney: You made the Top 12 finalists on SYTYCD season 2 out of thousands of hopefuls. Did you expect to go that far in the competition and how was the whole experience for you? Did it open any doors? Takkies: I'm very proud of myself for reaching that far. I didn't expect it at all there's so many great dancers out there. Yeah it did open doors for me hahaha; actually the night I got voted off I got a phone call the next day for a dance gig I was like "Whaaaaaaaaaaat"!!! So quickly it was dope man. Rodney: SYTYCD is a tough competition. How did you manage to stay strong and positive throughout? Takkies: God and my Family, they had been there for me since day 1 and my mom called me every day that’s all I needed! Rodney: If you had won the cash what would you have done with it? Takkies: Hmmm good question… I would probably have chucked it into my account till I know exactly what I want to do with it; it’s a lot of money. Rodney: Who do you look up to in the industry? Takkies: No one (1) specific but I respect people who work hard to get what they want, people who are driven and inspiring. Rodney: What makes Takkies tick? Takkies: *hahaha Random stuff...just make me laugh and I'm Sold hahaha. Rodney: If you weren’t a dancer, what would you be doing? Takkies: I would definitely be a director for music videos and commercials or I would be a talent agent. Rodney: Now let’s get a little bit more personal lol... Is there someone special (a boyfriend) in Takkies life and if so who? Takkies: Hahaha my lips are sealed. Rodney: Lol! You're currently in Los Angeles (I’m so green with envy). What are you doing there and how's life that side of the world? Takkies: I got accepted into the Debbie Allen Dance Academy for the summer intensive which I had to audition for. I'm also taking classes at well-known dance studios to get my training game on such as Millennium, Debbie Reynolds, IDA etc. Rodney: Wow! That's great. Congrats... Do you miss home and do you plan on coming back? Takkies: I miss parts of it like Family and friends and Nandos chicken (ahhhhhhh). I'm not home sick yet. I’m definitely going back home as I have great plans for SA. Rodney: What have you learnt in the industry so far? What advice would you give to aspiring dancers out there? Takkies: I’ve learned to never give up, always finish what you start. Follow your dream even if seems nearly impossible only you can make it happen if you really believe in what you do and work hard. People are always out there to dis-courage you but don't let them get to you, instead stay positive, keep smiling and have faith. Rodney: What are some of the challenges you're facing in the industry? Takkies: Being judged on what you look like, certain jobs are strict on image, you have to be a certain height, certain nationality, have specific hair, etc. You have to go with a look that works for you and sells you better as an artist. Rodney: In your opinion: What makes a good dancer? 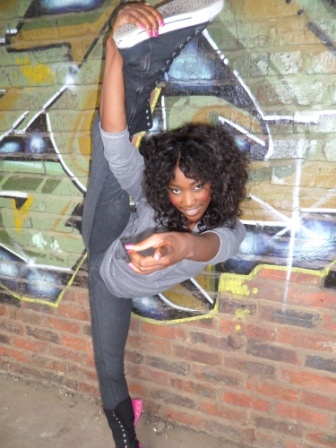 Takkies: A good dancer for me is someone who dances from the heart, from within. Someone who takes you on a journey when they dance, they really connect with the crowd and give endless energy. I also really appreciate dancers who dance their heart out even when there are only three (3) people as their audience. Rodney: What are your future plans and goals? What can we expect from you? Takkies: My goal is to succeed, inspire, change lives and be great. You can expect Success from me. Rodney: What do most people don’t know about Takkies? Takkies: *hahaha that I dislike negative people, I stay away from them as much as I can. I can't stand negative energy. Rodney: You're specifically good in Hip Hop. What other genres do you like? Takkies: Contemporary, Flamenco, and Jazz. Rodney: What's your biggest achievement so far? Takkies: So far it will have to be getting the opportunity to train at the Debbie Allen Dance Academy for the summer intensive in Los Angeles. Rodney: What are you most grateful for? *I’m grateful that I have a roof over my head and food. *I’m grateful to be blessed with this amazing talent to be a performer. *I’m grateful for my Family. *I’m grateful that I'm alive today and that I'm able to embrace life and what it has to offer. Rodney: Thank you so much for talking to me… May all you dreams come true and fly the South African flag high. Story by Rodney Witbooi/ leave your comments for me below the comment box.